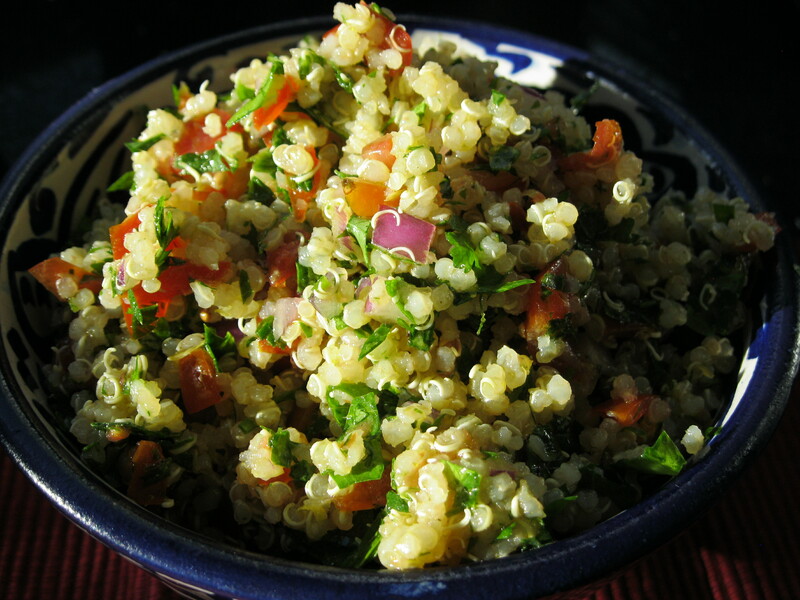 This tabbouleh salad is lovely and light and fresh, perfect with hummus and grilled chicken or even on its own. 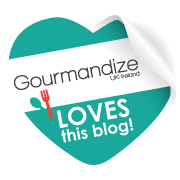 I make a big bowl of this and keep it in the fridge and it lasts me almost a week, I say ‘almost’ a week, it would probably last a week in the fridge if I didn’t keep having a spoonful each time I passed the fridge! 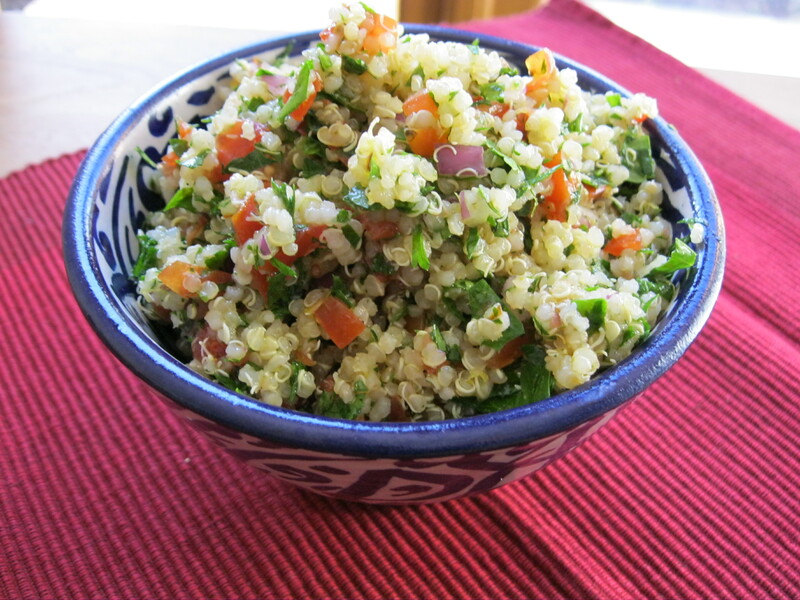 The key to a good tabbouleh, I think, is to chop the vegetables and herbs very, very finely. Once the tabbouleh has been left to sit for a few hours or overnight the flavours are beautiful together. In a large bowl combine all the ingredients except the dressing ingredients and mix well. 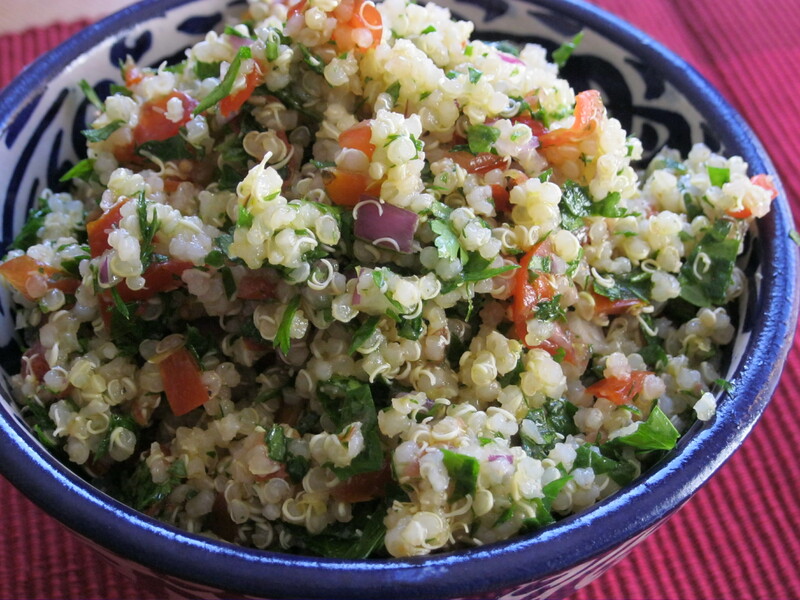 In a separate bowl combine the dressing ingredients then pour over the tabbouleh. Mix well. Serve immediately or cover and store in the refrigerator until ready to use. I hope you like it when you give it a go. It’s such a nice, fresh and light dish, great as a side dish or on its own.